It is an honor to have this great work in our prestigious collection. One of Poland's greatest living composer with many prestigious awards. I always eager to listen into composition that liberating sound beyond all tradition. 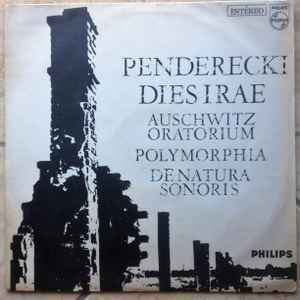 This LP proof the best , one of his strongest pieces , overpowering also frightening . If you really want to dig his works , try hisb1958 - 70s periode. A remarkable nightmare will haunt you , confirm !